Looking for St Thomas all inclusive resorts? 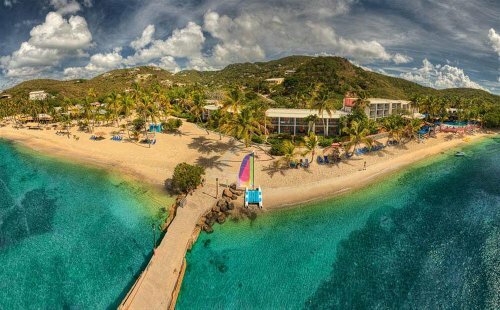 Here are some great all inclusive resorts for you to choose from on the island of St Thomas in the Virgin Islands. They are hand-picked by us and we think they are the best. St. Thomas was one of the first islands in the Caribbean that I ever visited on a cruise (on our honeymoon). While I thought it was quite pretty I also was surprised how commercial the Caribbean was. Landing in Charlotte Amalie would give this impression and once I headed out over the hills on a truck taxi to Magens Bay, I realized the true qualities of the island. Having been to a few Caribbean islands now I can definitely see the attractions of staying here longer and why it is among the most visited cruise destinations. And what better way to do that than with some of these all inclusive St. Thomas vacation resorts. While some I have reviewed offer both all inclusive and regular room rates, you can access the current deals through the links. 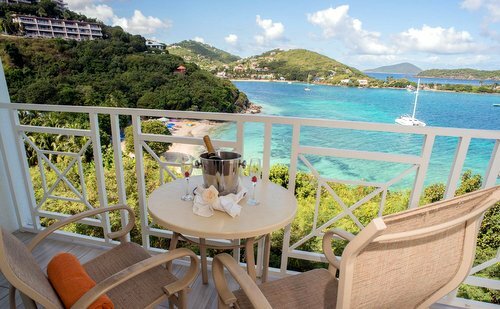 You may also like to visit the Top 25 St Thomas Resort Deals or more Caribbean All Inclusive Resorts. 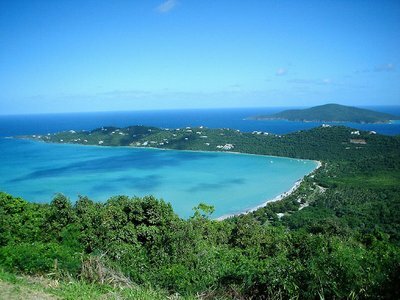 Located in the U.S. Virgin Islands - St. Thomas only covers about 100 square km. 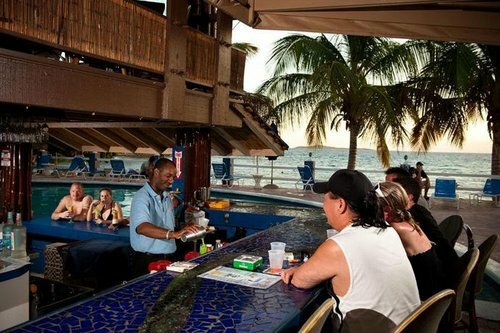 On the island the minimum drinking age is 18 and there not all the many all inclusive resorts you would find in places like the Dominican Republic or Cancun. We will show the all of them here. An affordable resort which not only offers all Inclusive but is located on a southern white sand beach on a quit smooth white sand beach 15 minutes from the capital. Bolongo Bay Beach Resort, has it all with swim up bars, great facilities and a wide range of beach club activities. Then while you are located away from restaurants in town there are good options at the resort itself. This happy family run St. Thomas property is one of a few resorts where you can either choose the all inclusive package or not. The All Inclusive package covers drinks and meals at a choice of beachside restaurants apart from some of the more luxurious items and the use of things like kayaks, Hobie Cats, and scuba On our most recent inspection they had even included a lobster dish and a wide range of cocktails, live music everyday, and other extras like sunset cruises in their all inclusive packages. Regardless non-motorized water-sports and lots of activities are complementary. In fact, there are a whole stack of other active things to do and restaurants to dine at in this quaint little tucked away cove. This resort was recently named in Frommers top 10 resorts in the world. Not a bad effort for a small resort which even maintains some extremely budget priced rooms. See more on our video review and in the links below. 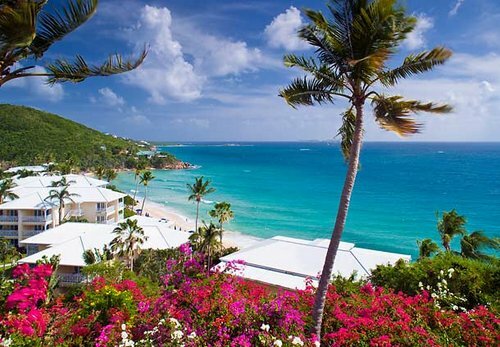 This is a quality 4 star optionable all inclusive resort in St. Thomas is on the south side of the island and has a beach front and a clifftop area. The all inclusive packages do change from time to time and at the time of writing there is a "Break at the Beach: Morning Star Dine & Drink Package" . Here there are 3 pools including a terrific kid’s splash zone which makes the resort quite family friendly. There's a health club and spa, water sports, tennis, 6 restaurants and two 10-person Jacuzzis. The 481 guestrooms are smoke-free and have 300-count sheets. The rooms were renovated recently. See the latest St. Thomas All Inclusive Vacations From Cheap Caribbean - More information. Apart from the St. Thomas all inclusive resort options there are a number of other packages available. The quality 300 room Sugar Bay Beach Resort & Spa is located on a private beach by the same name and has a good range of activities including three pools, a swim-up bar, and great restaurants. If you are on the all inclusive rate all the meals and kids activities are included. The resort was recently called in the best all-inclusive resorts in the Caribbean list by USA Today, our resort boasts the most breathtaking views in St. Thomas. The beach location with a few minutes of restaurants and the Red Hook ferry terminal has a lot of advantages and offers the best of both worlds. The beach is great for kids and couples alike. Additionally for the kids there is a well staffed kids’ club with attractions like mini boats and mini-golf. With nearly 300 rooms and seven restaurants this is a large luxury level resort. 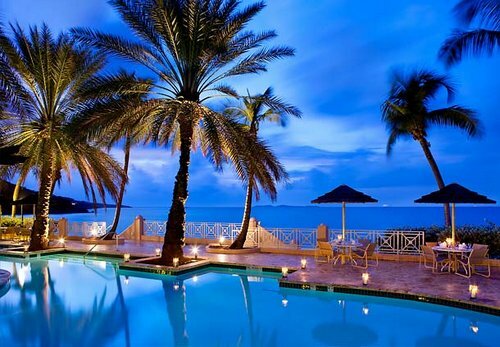 Sitting hilltop and getting much better than average reviews is the Sugar Bay Resort & Spa. Known for it's majestic look and inter-connecting pools, and an award-winning spa.